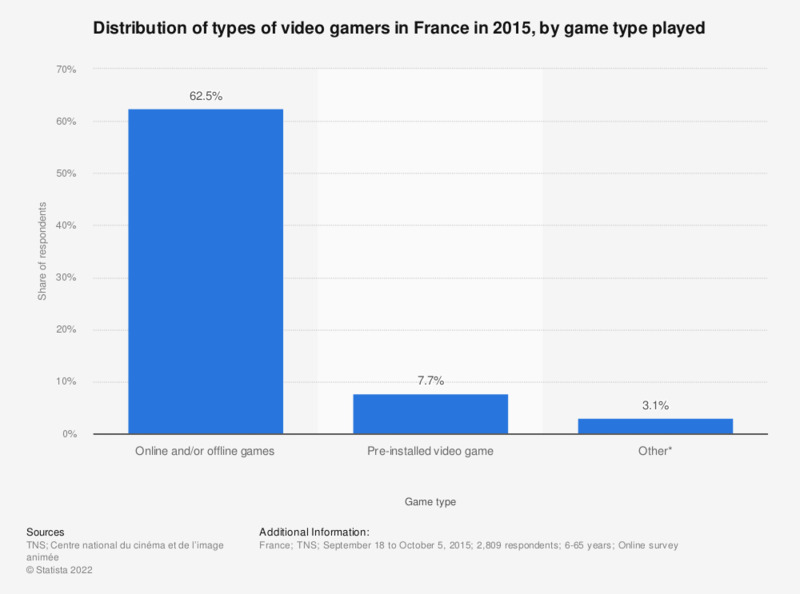 This statistic is a breakdown of video gamers in France in 2015, by game type. It shows that 62.5 percent of the population played online or/and offline video games, whereas only 7.7 percent played pre-installed video games. Observations are based on a 6-month period previous to the survey. Shares add up to 73.3 percent, which corresponds to the share of video gamers among the respondents of this survey.